Whew! It feels so nice to have our pregnancy announced and be able to be real about how I’m feeling. Now you know why I am obsessed with Orange San Pellegrino and Larabars. My favorite afternoon snack right now is a glass of milk and Little Debbie Nutty Bars. mmmm…yummy. The boys love to point out when my stomach is sticking out (aka bloating). Hoping that over the next couple weeks my good days will outweigh my bad days. Thankful for good friends who have brought me meals, watched the boys and listened to my complaints! Thank you for all your kind comments and well wishes. Feel so loved. Got this idea from Pinterest (remember to let me know if you want me to invite you!). 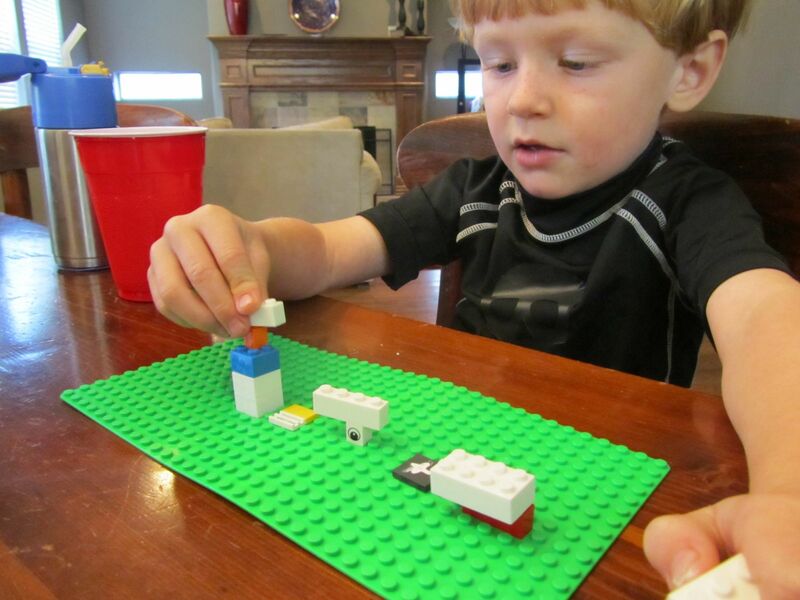 The best part about “Lego Math” is that I presented it as “Lego school” and was able to get my boys to sit at the kitchen table for a formal time of devotions/scripture memory prior to the Lego activity. awesomeness! Basically you need a big flat Lego sheet. Then you take a flat 4 top square. I used a chalk marker and wrote the “+” on it. 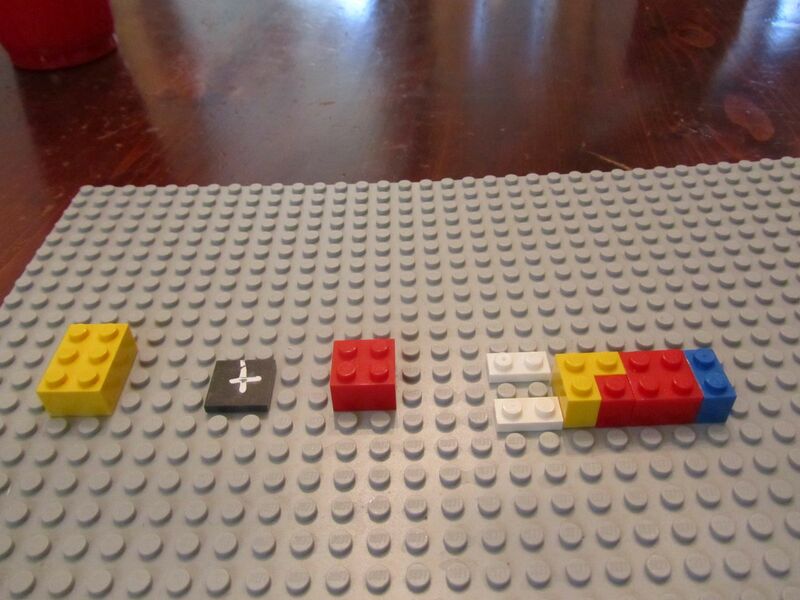 I used two flat 2 pieces to make the equals sign but you could use another flat top and write the equals sign on it. Then I collected a cup of Legos of various sizes (1 to 8 dot pieces). I split those up between two cups so each boy had his own. Then I set up the addition problems for them to solve. It was very simple for my almost 6 yr old but after a little instruction my almost 4 yr old was answering the problems well! They loved it. The amazing thing was that they played with those 20 odd Legos for longer than they have ever played with the huge box of Legos they have. Once again…less is more. My oldest son needed shoes for his school uniform. I was not interested in taking all 3 boys to a shoe store trying to find black new balance sneakers (remember I’m pregnant?). This is where Zappos saved the day!! Here is why I love them: 1. Cheaper than uniform store or other stores; 2. Free shipping 3. Free returns for 365 days! 4. Ordered them one afternoon and they arrived the next day before lunch!! (less than 24 hours). Amazing. If you need shoes for your kids (or even a fun pair for yourself) check out www.zappos.com . You will be pleased…if not just return them for free in the next year! 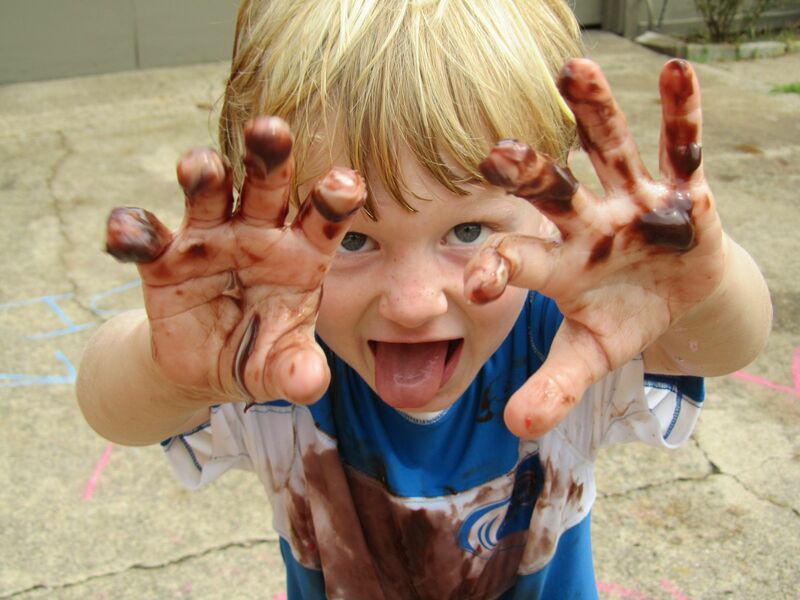 This past weekend my boys had a great time outside getting messy at a friend’s house. Fortunately it was the morning we got rain in Dallas (the one day this summer!) and it was nice and cool (in the 90s). 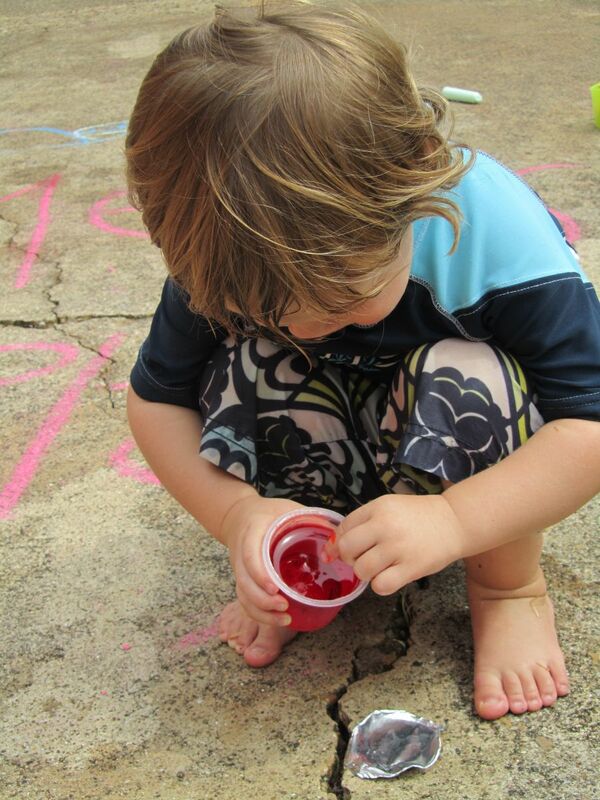 To create your own “messy play” all you need is space outside, jello, pudding, cooked noodles and adventurous spirits! 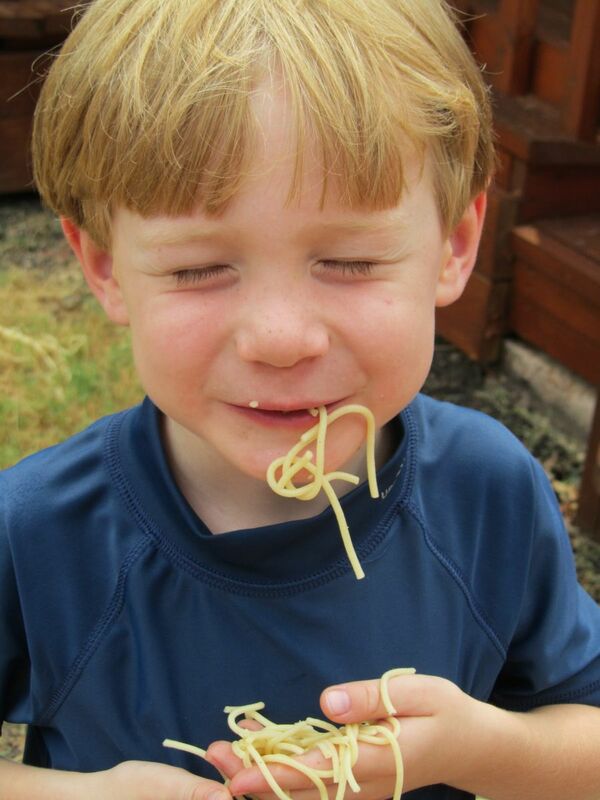 Last spring we had a meeting with director of the classical Christian school our oldest son will be attending. During that meeting he gave us so many great resources (one was the stimulus for this blog!). He mentioned a booklet with coloring pages called “21 Rules of this House” by Gregg Harris. He said that is good to use if you are looking for some structure and peace in your home. Sounded great to me but didn’t know where to find it. Well a few days later a copy of the book came in the mail from the school! amazing! I like how all the rules are phrased in the “we…”. For example, when a time of correction comes up I can simply say: “Remember in this house when we have something good to share we share it.” love! I recently discovered that you can purchase a copy of the original book at Amazon.com. 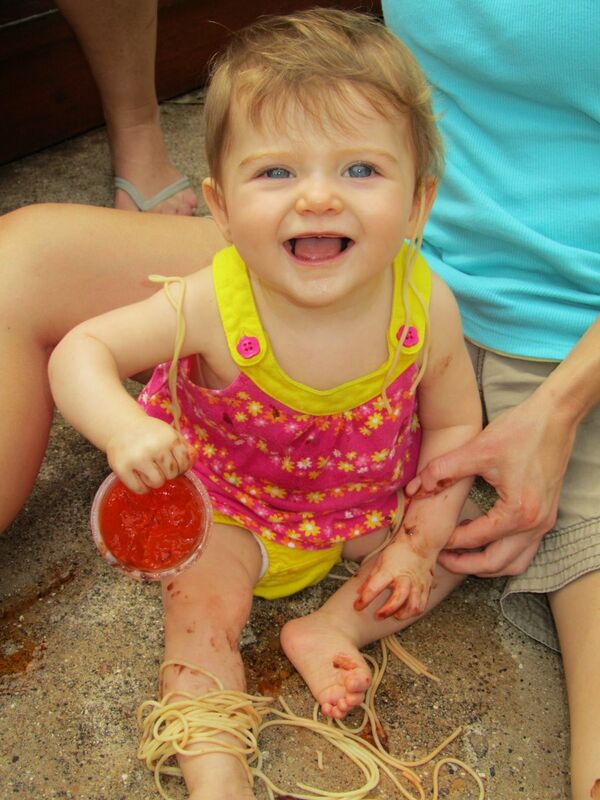 While were at the messy playdate, I heard my sons laughing hysterically. I found that my husband had been creating awesome chalk outlines of them. Instead of just outling their body he used his imagination turning them into: a pirate with a peg leg, Mary Poppins (a lady with an umbrella), and a Lego Star Wars mini-figure. 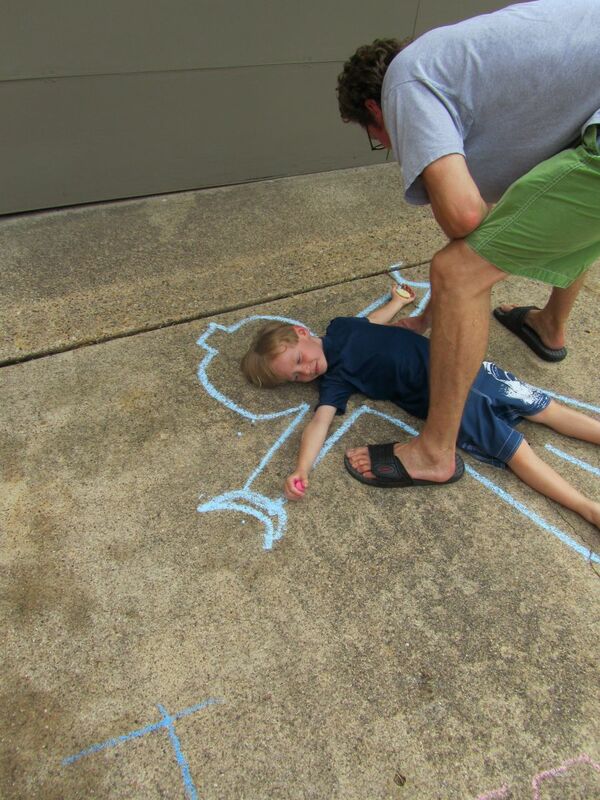 Next time your child asks you to outline their body with chalk…surprise them with a more “creative” outline! We’re doing 21 Rules boot camp at our house right now. Matt named it the “Ramsey Radical Rules” and the girls rallied around the idea (little kids are so easy to convince). One rule per week for 21 weeks. End prize is a new American Girl doll with family date nights sprinkled in for every 5 rules learned. Serious stakes, but well-worth it if the girls (and I) can stick to this for 5 solid months. Crossing my fingers. you need to put amazon.com on your list 🙂 that is the best place ever! i actually went on amazon to see the price for crocs until i bought from zulily and paid outrageous shipping. 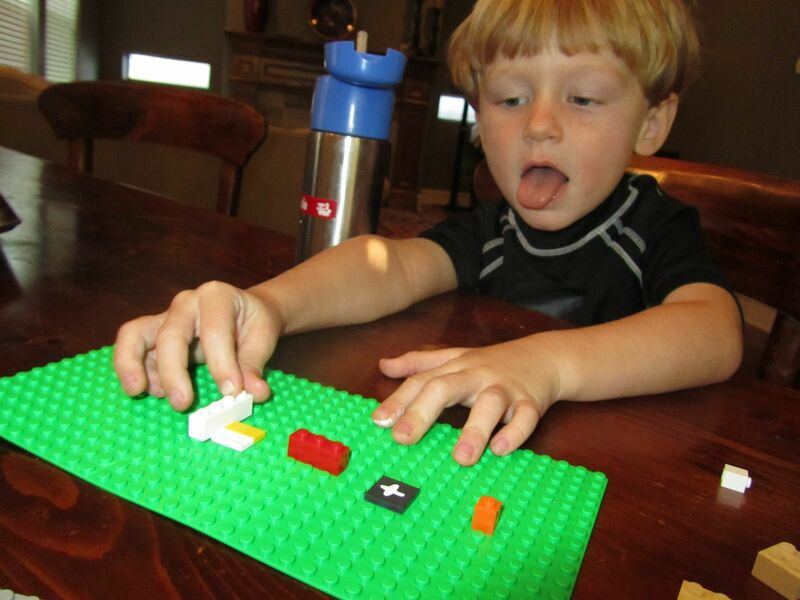 great idea for the legos. we need to work with makenna on her math. she is doing incredible with reading but she needs serious help with math. sign me up for pinterest please. oooo…i definitely need to post on that next week. saved me on q’s bday present this week. thanks christina! I will sign you up right now!